Attorney John B. White, Jr. Appointed Chair of South Carolina Transportation Infrastructure Bank - Harrison White, P.C. (Spartanburg, S.C./March 3, 2017) South Carolina Gov. Henry McMaster has named Harrison, White, Smith & Coggins, P.C. Managing Shareholder John B. 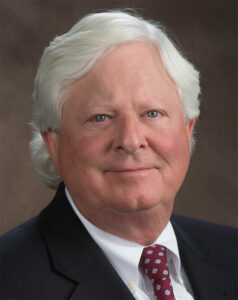 White, Jr., Chairman of the Board of the South Carolina Transportation Infrastructure Bank. The purpose of the bank is to assist in the financing of major qualified transportation projects by approving funding to improve transportation facilities necessary for public use and benefit. White, a lifelong resident of the Upstate, has been a vocal advocate for the improvement of South Carolina roads and highways. “The Greenville/Spartanburg area is the center of the I-26 and I-85 corridors, and home to significant distribution and manufacturing in the state,” said White. “Our transportation infrastructure is critical to the economic well-being of our citizens. I want to provide leadership, vision and a regional presence to the board,” added White. White’s commitment to the Upstate runs parallel to a legal career that spans over four decades. “I was educated here, raised a family here, and owned and operated businesses here,” said White. After receiving a B.S. degree in biology at Wofford College in 1972, White served in the U.S. Army before entering the University of South Carolina School of Law. He received his law degree in 1975, and in 2000 he and five other Upstate lawyers formed a partnership that exists to this day. Harrison, White, Smith & Coggins, P.C., located in Spartanburg, S.C., is one of the largest litigation firms of its kind in Upstate South Carolina. Its mission is to provide its clients with the most personal and effective advice, representation and counsel. For more information visit spartanlaw.com. « I was injured at work, but I don’t want to sue my company.